Al Tamman Group’s Grand Entertainment has partnered with renowned Australian immersive entertainment technology specialist - Euclideon Entertainment, to bring to the sultanate, the Middle East’s first hologram arcade – ‘Holoverse’. Slated to open to the public mid-February, Oman’s new retailtainment offering, Holoverse will be located in the Oman Avenues Mall on the first Floor. The gaming arcade has six gaming tables, with two players being able to play per table at a time. “Hologram technology is closer to augmented reality and is a life-like 3D projection of an artificial environment, presented in the real world around you. 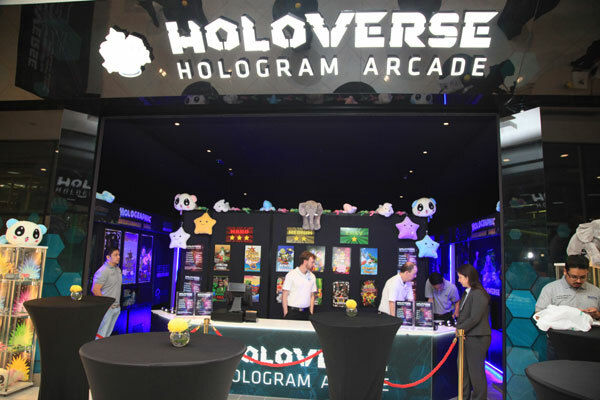 Holoverse offers a new take on virtual reality entertainment through the Euclideon Hologram Arcade Table which is a gaming table with a twist, where two players can play simultaneously, leading to a significantly more social experience," said a senior spokesperson from Grand Entertainment.